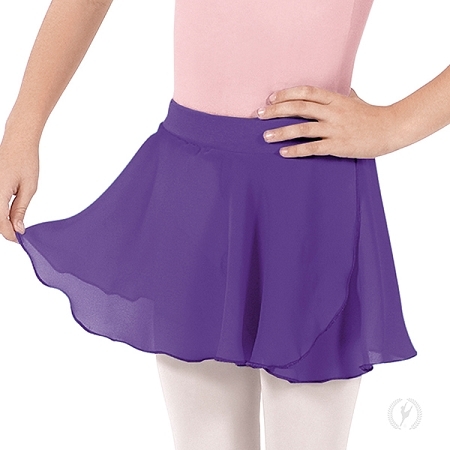 A popular style for young dancers, this mock wrap skirt has no ties to worry about while in class or on stage. This beautiful dance skirt fits comfortably around the waist thanks to a soft, floating, Cotton Lycra® waistband that has nice stretch and recovery for a long lasting fit. 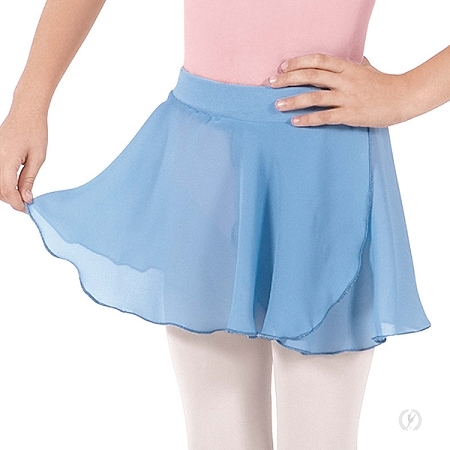 This mock wrap skirt is made of beautiful chiffon that both teachers and dancers love. Find a wide variety of colors that are color matched to Eurotard's Cotton Lycra® leotards for all your dress code needs!